We got an evaluation that Major of the previous MiLLISECOND work is not only surprisingly esthetic look but also an exceptionally high-quality feel, which is the result of the extreme precision in craftsmanship and design. We received five awards. We wanted to tell this extreme precision in craftsmanship and design more. 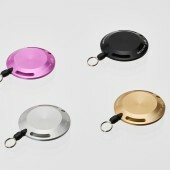 The design that is appealing various using suggestion: The frame of the body is provided 2 oblong holes and 1 round hole. The user will be able to select these holes according to own preference, use & wearing method. For example, in case of a round hole, if the user can be put a neck strap into a round hole. 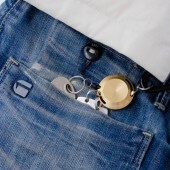 The MiLLiSECOND brand was born in Tsubame, Japan, a center of metalworking, stated 2014. 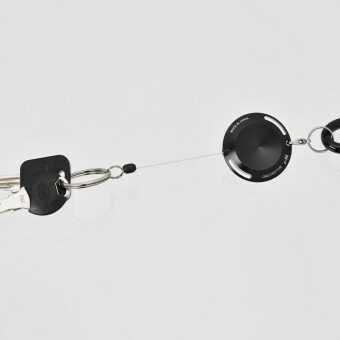 The first product metal tape measure won 5 design award in Japan and Germany. MiLLiSECOND reel is the 3rd released products from MiLLiSECOND brand. In 2015 MiLLiSECOND　exhibited at Paris, Germany, Dubai, Japan. A body is being produced and milled an aluminum ingot with a high precision. The surface of the aluminum after milling is treating an anodizing on aluminum so that it will be improved the corrosion resistance or abrasion resistance and also at the same time. On both of the sides body are providing the bowl shape depression so that the user should have the comfortable feeling on the depression that it will be just fit in the fingers. The designer's aim was simply not only to consider the form of product as an object but also it was to be suggested to the style that the user wears a reel or how to use. The MiLLiSECOND reel’s body is being produced and milled an aluminum ingot with a high precision. The milling quality is directly connected with appearance of the quality and attractive of quality. We did trial and error so many times to milled for 2 oblong holes and 1 round hole, and the bowl shape depression of body. Product Design : Hidebumi Yamaguchi (Caro inc.), Plan : TAKEDA DESIGN PROJECT and Manufacture : Takeda inc.
“Millisecond” brand: Millisecond is 1 second block of the 1000 minutes, that means "a moment”. Sometimes “in a moment” we meet on the value that is appealing. For example, the sculptures that are appealing to the moment we just saw, the music that you will love the moment we just heard, the tool that you can experience the superior functionality at the moment you just touched. 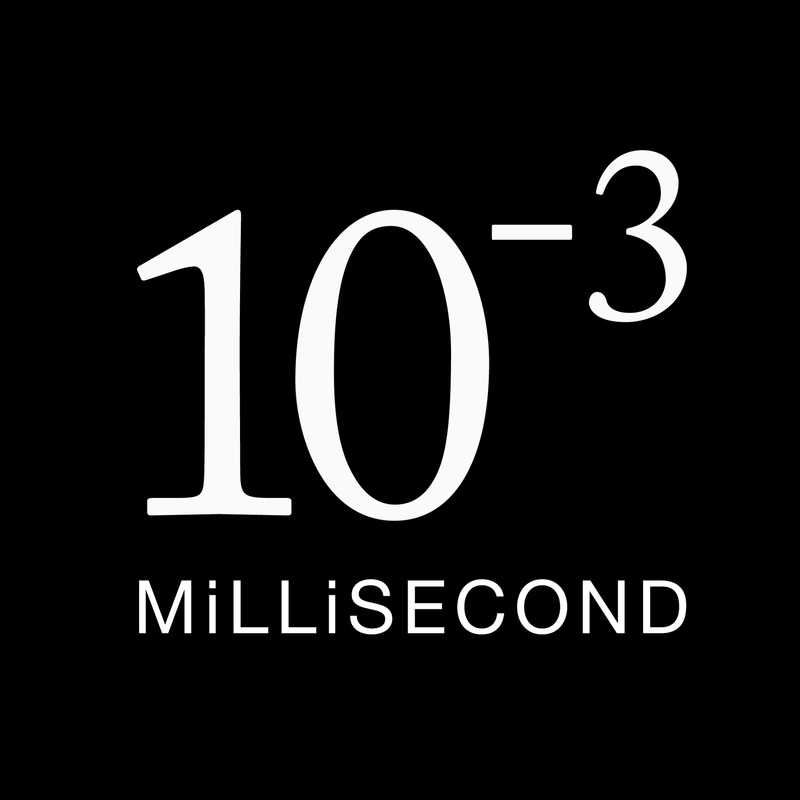 The something that the brand “MiLLiSECOND” aim is to provide such a “Valuable moment” in people’s lives. The brand logotype is also the notation of “minus 3 power of 10” representing 1/1000, it has used as it is. MiLLiSECOND is making up by the collaboration with Hidebumi Yamaguchi who is the product designer that activity base in Tokyo together with Takeda Inc. who is producing the metal processing business located in Tsubame, Niigata, Japan. Milli Second Reel by Hidebumi Yamaguchi is a Nominee in Prosumer Products, Tools, and Machinery Design Category. · Click here to register today inorder to be able to view the profile and other works by Hidebumi Yamaguchi when results are announced. Milli Second Reel by Hidebumi Yamaguchi is Winner in Prosumer Products, Tools, and Machinery Design Category, 2016 - 2017. · Press Members: Login or Register to request an exclusive interview with Hidebumi Yamaguchi. · Click here to register inorder to view the profile and other works by Hidebumi Yamaguchi. Did you like Hidebumi Yamaguchi's Machinery Design? Did you like Milli Second Reel? Help us create a global awareness for good machinery design worldwide. Show your support for Hidebumi Yamaguchi, the creator of great machinery design by gifting them a nomination ticket so that we could promote more of their great machinery designs.